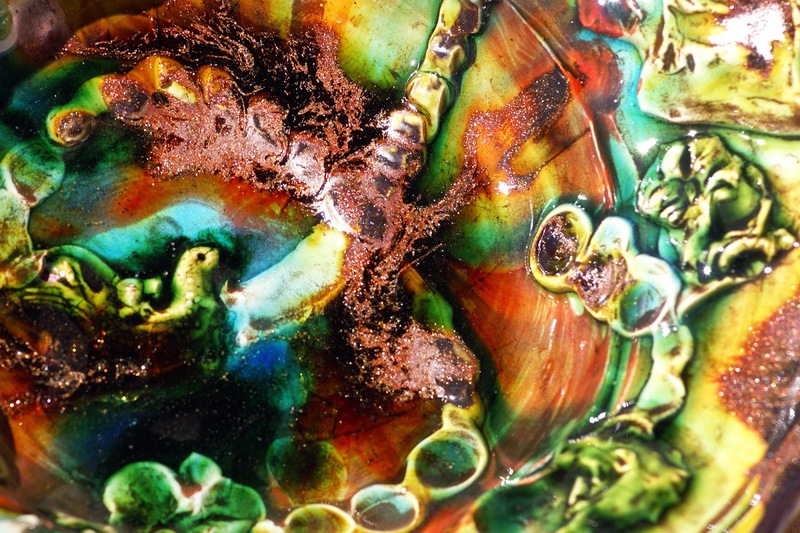 One-of-a-Kind Low Fire Pottery with a High Vibrance & Visual Impact. Asymmetric & Flowing Organic Forms as Alive as the Hues Used. 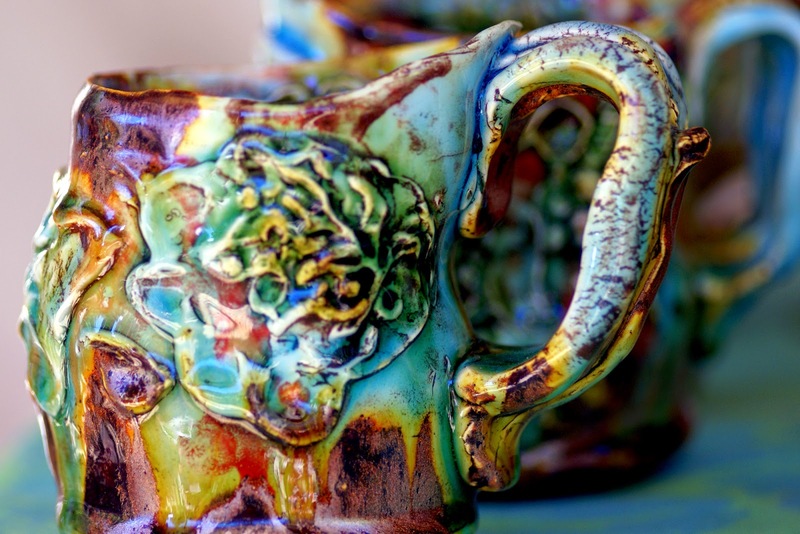 I have called many an artistic medium versatile, but there is probably nothing more easily molded into an infinite number of masterpieces than clay. 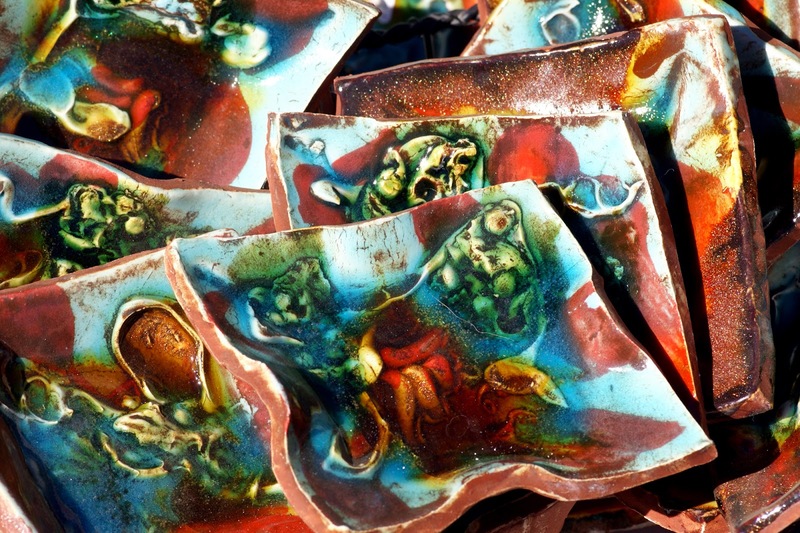 Throw in a vast array of shaping techniques and glazes for finishing, and you’re not likely to find anyone whose work doesn’t stand out for something unique, or many somethings much like ceramic artist Lisa Orr. Lisa’s style combines organic, often asymmetric forms with rich, vibrant colors. Some of her glazes even glitter! But what’s more is that she designs each piece to be functional as well as beautiful and durable so you can enjoy it for many years to come. Choose from bowls, platters, plates, mugs, vases and more. Lisa starts by throwing many of her pieces on a potter’s wheel, using her hands and the rotation to make flowing shapes come to life. Once the foundation is formed, she then lets her hands take over full time, applying decorative elements inspired by nature, some striking and others more playful. 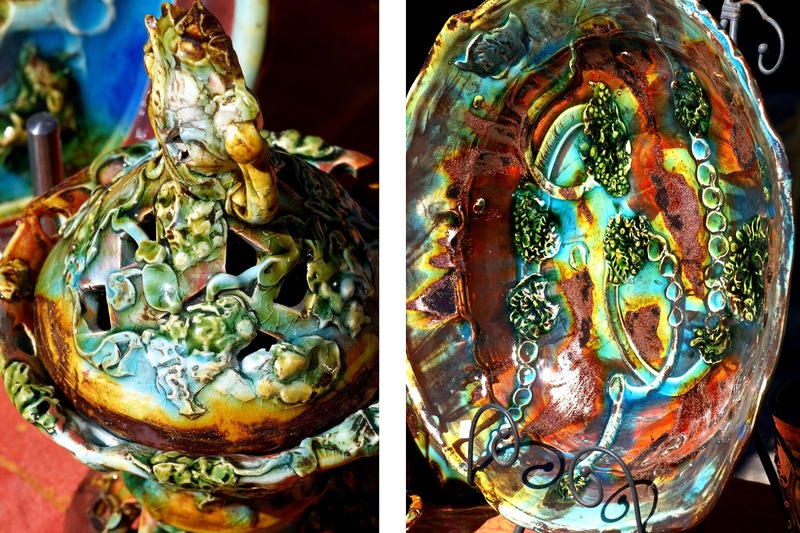 A trusty kiln helps harden the clay and glazes in shades ranging from aqua blue, deep red, glittering bronze and other jewel tones give the finishing touches. If you like Lisa’s work, guess what? She teaches classes. No doubt she understands the benefits of developing your expertise and style among other artists. She came into her own as a potter through years of study and on the job training. I’m sure you can agree that this was time well spent. 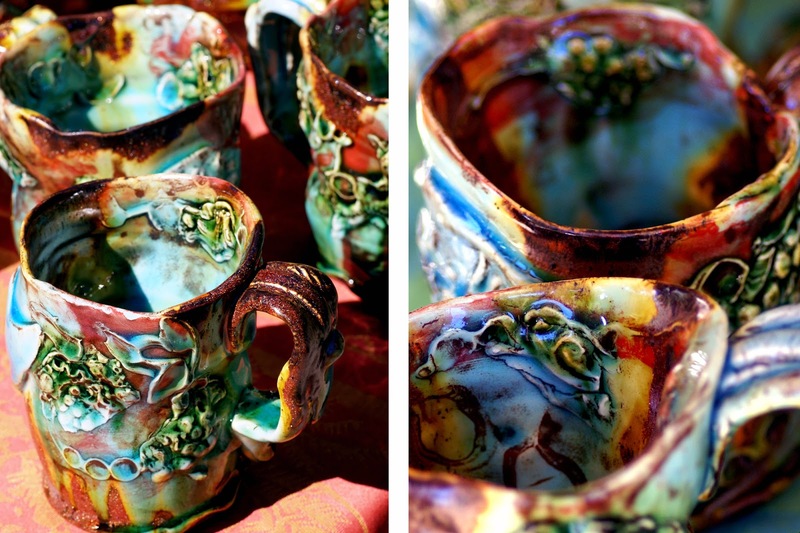 Lisa’s ceramics leave a strong impression with rich colors that speak right to my soul!